The name Bi Luo Chun was given by Emperor Kangxi and signifies "Green Snail Spring". Obviously, also known as Pi Lo Chun, this is an absolutely engaging term for the winding type of the tea which takes after cooked snail meat. This assortment is frequently depicted as a smooth and crisp tasting with a sweet lingering flavor. Bizarre for green tea, it has a flower smell and fruity flavor. In a few states, the tea timber is grown between natural product brambles which advance the Bi Luo Chun tea with its flower and fruity observe becuase this is important to a number of people. 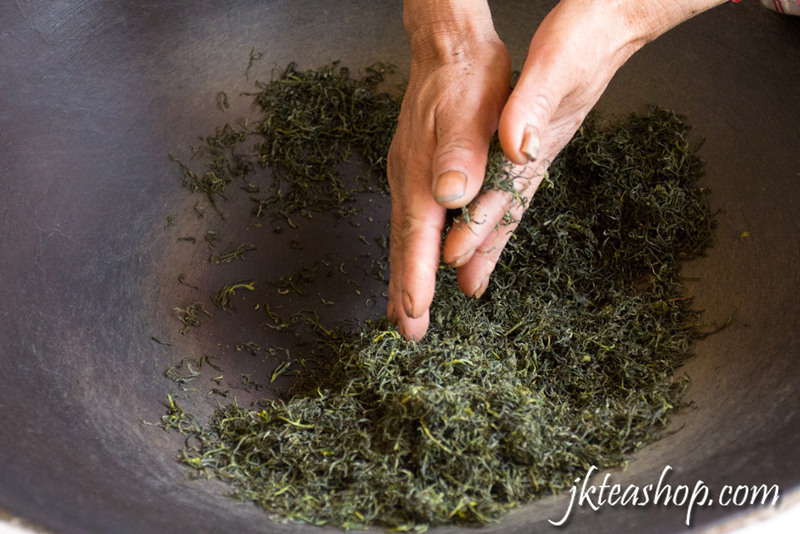 Any green tea lover knows about one of China's most famous green tea: Bi Luo Chun. What makes this tea special is first of all its leaf quality. But besides simply the quality of raw materials, the processing of the leaves matter a lot and it can affect the end results significantly. 1. Heat the Pan. 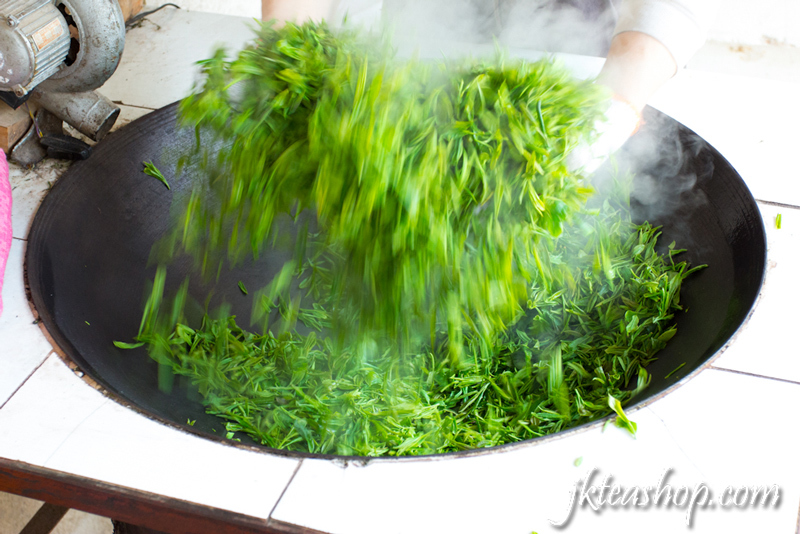 Bi Luo Chun leaves are fried in a large wok pan. 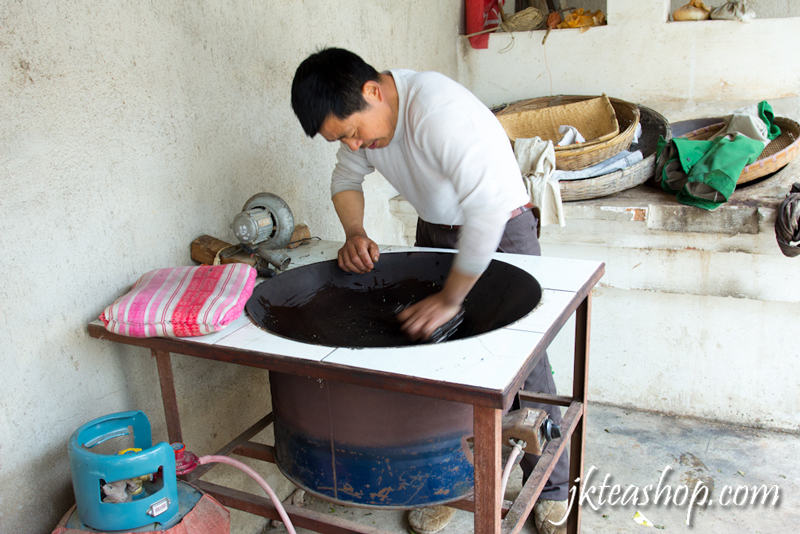 The farmer first heats the pan to between 190 and 200 C.
2. Add amount of Leaves. 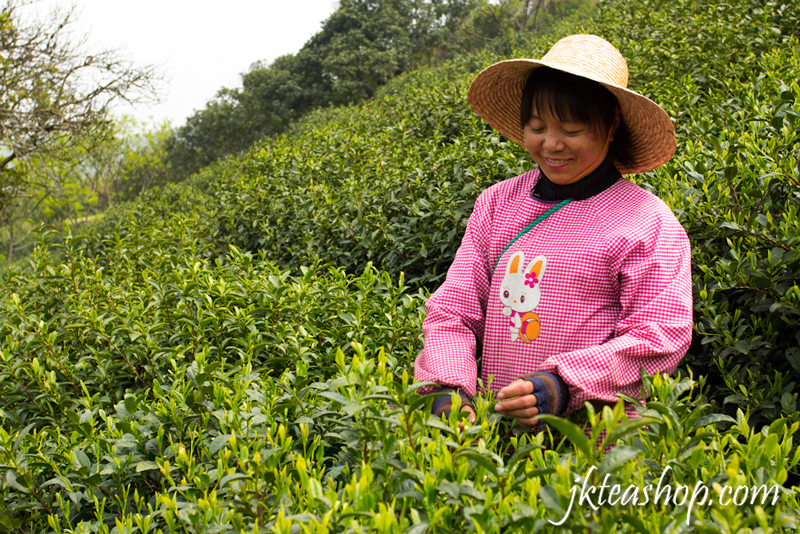 Afterward, the farmer adds 500 grams of tea leaves. This amount, however, depends on the size of the pan. The basic rule of thumb is that the pan should only be filled up about 1/3 to make sure leaves don't fall out of it during the frying process as this is most important ever as far as it is well known ever. 3. Shake Loose. Once the leaves are added, the farmer will continuously grab a hand full of leaves while they are in the pan and shake them loose. 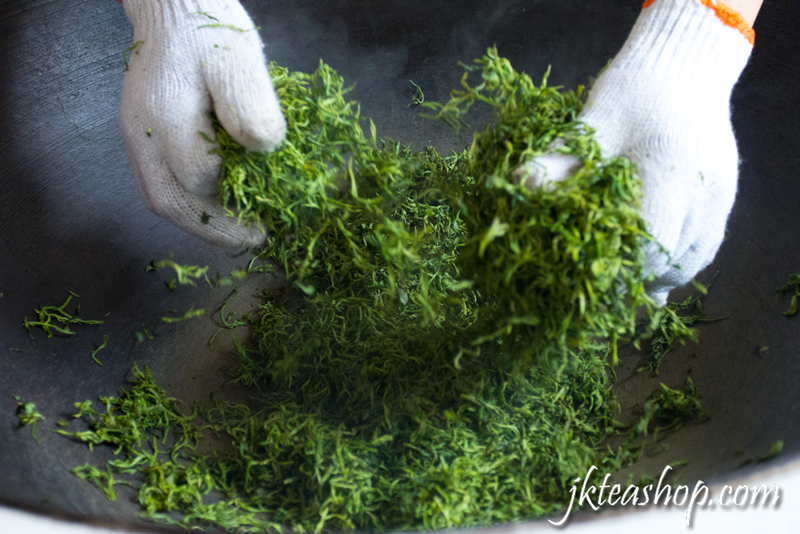 This frying process will also make sure the leaves get oxidized. This is done for 3-5 minutes, depending on the moisture content of the leaves. 4. 70-75 C: Rubbing, Grabbing, and Shaking. 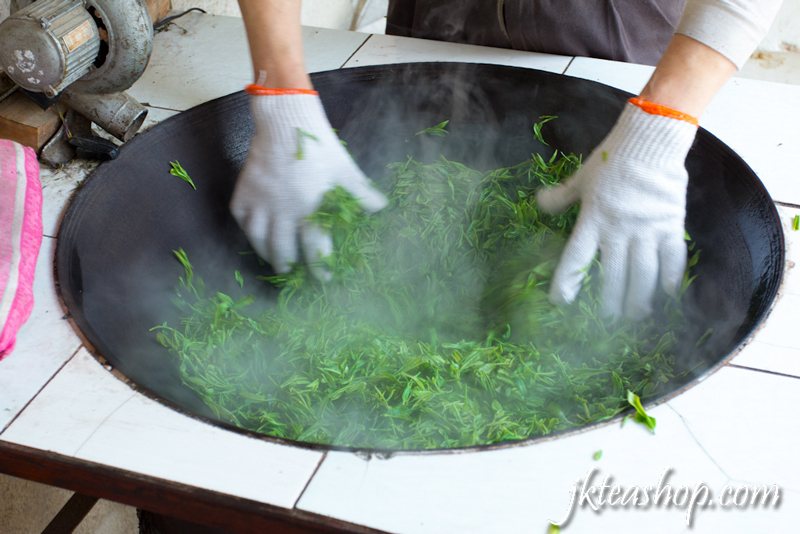 After frying for 3-5 minutes, the pan temperature is reduced to between 70 and 75 C. At this stage, the farmer continuous with grabbing and shaking the Bi Luo Chun leaves, but now he will also start rubbing the leaves against the pan. This will further reduce the moisture content. This rubbing process is important. If the farmer rubs too hard and if the movement is too slow, the leaves will burn. This grabbing, shaking and rubbing process should last for about 12 to 15 minutes until the leaves have lost about 60 to 70% of its moisture. 5. 50-60 C: Shaping the Tea. After this, the farmer should reduce the once again but now until 50 to 60 C only. At this stage, the farmer will do exactly the same as the previous stage, but at a lower temperature, he can now rub with more strength to allow the leaves to obtain a curly shape and a deep green color. This stage also lasts for about 13 to 15 minutes. 6. 40-50 C: Drying. At the last stage, the last states of the leaves are as of now settled, and the point is to ensure the leaves have just 8% of the dampness left. The farmer adopts gentle and light frying techniques to fixed shape. This final stage takes about 8 minutes. 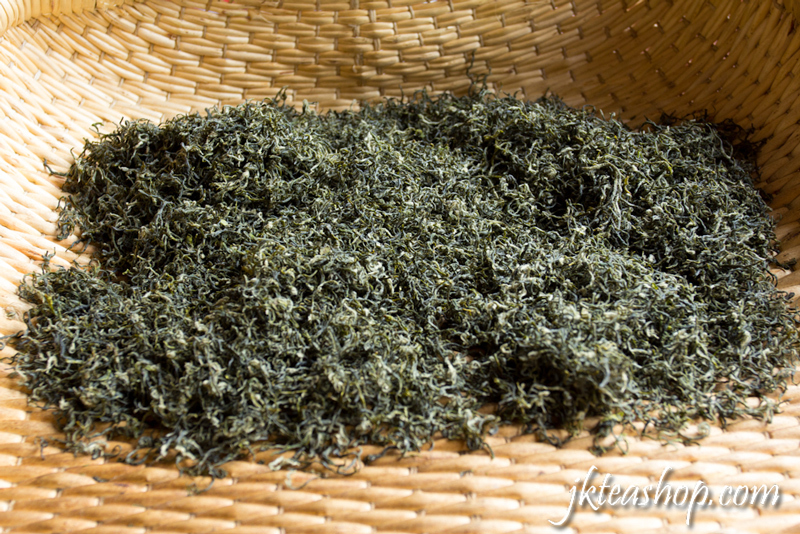 Here is the link of Bi Luo Chun Green Tea available in JK Tea Shop.